Hi guys! I am back with another blog tour! I love doing theses mainly because it is so much fun and I love doing reviews as well! This blog post is part of the Awakening: Bloodline blog tour hosted by Xpresso Book Tours. Please note that Xpresso Book Tours has supplied me an e-copy of this book. Please note that this has not affected my opinions in any way. You can win a $25 Amazon Gift Card by using the following Rafflecopter link! So be sure to enter! Antanasia knows better than anyone that being loyal comes with lots of expectations. 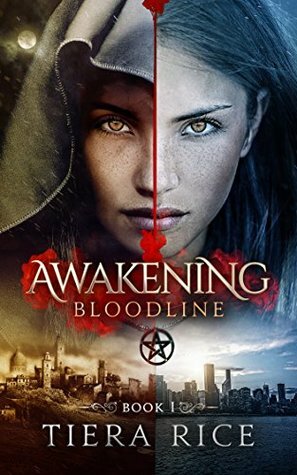 Born into war as a Vampyre Witch, she has to battle the ultimate enemy: her own blood. The she has a terrifying Vision, Antanasia fights harder then ever to prevent it from coming to pass. Will she succeed? Or doe she die trying? I am actually pretty excited for this book. I originally thought it was like time travel or something but obviously its not. But nonetheless, I am pretty excited for this book. I can't wait to see what journey it takes me on. I would also like to see what a Vampire Witch is considering that in a majority of the mythologies/ theories, they are considered opposite. Please note that I have received this book in exchange for an honest review and a blog post. Xpresso Book Tours have supplied me with an e-copy of this book. In no way has receiving this book affected my opinion on the book. All thoughts are my own. The writing in this book is actually pretty good. There is a definite flow to the words. It was absolutely amazing. I really enjoyed the writing. It wasn't like there was a lot of descriptions but it was just so enjoyable. I really liked it. The story is set in two different timelines and what I loved about this is that it was so obvious. There was clear distinction between the two characters that we are following both in the format of the book and just the different personalties that shown through the writing. There was constant action in this book. The tension just kept growing as we switched between both chapters. This constant tension definitely adds a lot to the story, it just makes the story really incredible. I also loved how the two stories ended syncing up. It was just like a puzzle that you put together. it is pretty fantastic! I really love this story concept! It is definitely something that you should read! I loved both of our main characters. They were both really incredible and kickass. I absolutely love them! I have been loving a lot of books layer and I think that it is mainly because my current life is pretty boring lately. This was a book that provided the best escapism. I absolutely enjoyed this book! I cannot wait to see what this author has to over us in the rest of the series. I cannot wait for the next book! 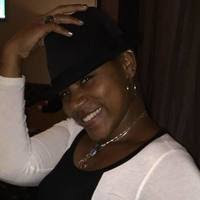 Tiera Rive was raised in Rockland County, New York and is a realtor in Rockland, Westchester, and Orange Counties. She earned her degree in criminal justice from Temple University, is the founder of Laughter and Lemonade: a project that focuses on motivational posters for those experiencing a chronic illness, and cofounder of #26forTiera : a foundation that provides financial resources to single parents battling life-threatening illnesses. A greater of poems and short-stories for many years, Tiera challenged herself by leaping into the world of novels. Having recently survived a battle with, Tiera decided to use her writing to entertain and motivate her readers. When not writing or selling houses, Tiera can be found spending time with her friends and family, specially her young daughter, fish, and kitty cat. Her other interests include singing, drawing, and dancing.